Two lanes of the M62 are currently closed after a collision. Emergency services have completed their work at the scene of a four-vehicle collision on the M62 in West Yorkshire. Two lanes of the westbound carriageway were closed between junctions 24 (Ainley Top) and 23 (Outlane) for over four hours today. The closure was put in place while vehicles were recovered and debris was cleared from the carriageway. 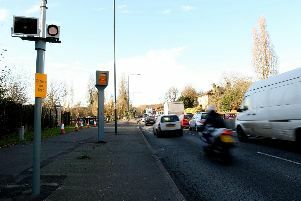 Highways England said had caused long delays, with traffic queuing as far back as junction 25 (Brighouse) at one stage. A West Yorkshire Police spokeswoman said officers were called to the scene shortly before 8.50am this morning. She said a Volvo and a Volkswagen Golf were among the vehicles involved. It appeared one person had suffered a suspected broken wrist. No other injuries had yet been reported.